Hastings-on-Hudson, NY: Morgan & Morgan, 1974. 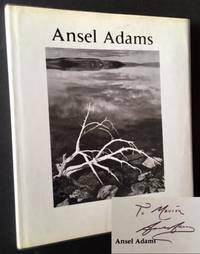 INSCRIBED BY ANSEL ADAMS on the half-title. A very solid copy to boot of the 1974 3rd printing. 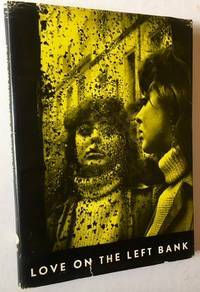 Tight and Near Fine in a crisp, price-intact, Near Fine dustjacket, with just a touch of light soiling along the rear panel. Quarto, Foreword by Minor White. New York: Hastings House, 1948. Cloth. Very Good -/Very Good -. 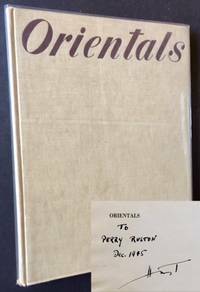 THE PHOTOGRAPHER FRITZ HENLE'S PERSONAL COPY, SIGNED "PROPERTY OF FRITZ HENLE" on the front free endpaper and including his business card laid into the book. A presentable copy to boot of the 1948 1st edition. Solid and VG- (light wear at the front inner hinge, light foxing to the pastedowns, several small signs of tape removal at the front free endpaper) in a crisp, price-clipped, VG- dustjacket, with clear tape reinforcement to the front panel's top edge and light creasing and minor chipping along the edges. Tall, thin quarto, gorgeous, lush photography thruout. Text by Norman J. Wright. New York: Harper & Row, 1970. Cloth. Near Fine/Very Good +. 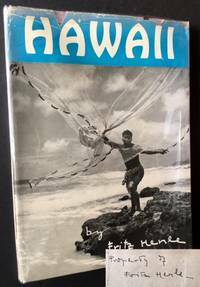 An impressive Association copy: WARMLY INSCRIBED BY DAVID DOUGLAS DUNCAN TO RENOWNED PHOTOJOURNALIST (AND STAFF PHOTOGRAPHER AT LIFE MAGAZINE) CARL MYDANS (1907-2004). A very solid copy to boot of the 1970 stated 1st edition. Tight and Near Fine (Mydans' name stamped in small letters on the front free endpaper) in a crisp, price-clipped, VG+ dustjacket, with just a touch of light chipping along the panel edges and one small closed tear at the rear panel's top-edge. 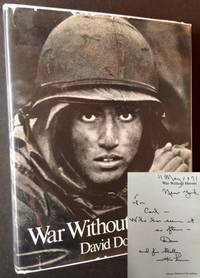 Thick, tall quarto, remarkably moving images of combat in South Vietnam, rendered in powerful, crisp black-and-white (mostly gravures) thruout. New York: Roth Horowitz, 2003. Near Fine. 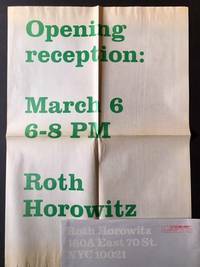 The original poster based on the March-April 2003 exhibition at New York's Roth Horowitz Gallery. The poster has been neatly folded into fourths (to fit into its original gallery enevelope, here included) and measures in full 32" wide x 22" tall. Clean and Near Fine, with vibrant green lettering. As the gallery itself described the show devoted to this celebrated Japanese photographer, "On view will be 30 vintage black and white prints made by Araki in the early `70s. ABCD refers to four notebooks lettered thus, which house the images presented. Mounted in the four over-sized notebooks are enlarged contact prints from 94 rolls of film; each is numbered and sequenced in chronological order." Andrew Roth and Glen Horowitz, the curators of the show and the gallery co-owners, have for many years been well-known booksellers in the rare book field as well. Self-published, 1983. Original wraps. Very Good +. 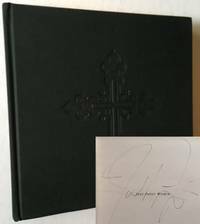 The 1983 stated 1st edition, SIGNED BY LARRY CLARK at the foot of the title page. Crisp and VG+ in its gray pictorial wrappers, with light creasing along the spine and at the front panel's fore-edge. Quarto, internally immaculate, with no writing or markings of any kind. Paris: Galerie 213/Marion de Beaupre, 1998. Cloth. Near Fine/Very Good +. A pristine copy of this exotic catalogue based on the March-May 1998 exhbition at Paris's Galerie 213/Marion de Beaupre. Tight and Fine in its printed white wrappers and housed (and sealed) inside of a printed vinyl envelope. The Paris continuation of a show which began ar Robert Miller Gallery and Laurence Miller Gallery, New York. New York: Harper & Brothers Publishers, 1954. Hardcover. Near Fine/Very Good +. 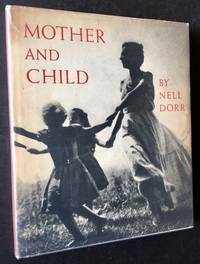 A very solid copy of this 1954 compilation of tender, heartfelt moments between mother and child. Clean and Near Fine in a crisp, price-intact, VG to VG+ dustjacket, with mild offsetting along the spine edges and light fading to the spine itself. Octavo, rich gravures thruout. Tokyo: Taka Ishii Gallery, 1997. Original wraps. Near Fine. A virtually pristine copy of the 1997 1st Japanese edition. Tight and Near Fine in its same iconic wrappers, with one very thin, faint crease running along the spine. Tall quarto, identical except for the Larry Clark text in the rear in Japanese. Japan: Self-published, 1995. Original wraps. Near Fine. INSCRIBED BY PHOTOGRAPHER YUMIKO ONO TO PHOTOGRAPHER YUICHI HIBI on the title page. A very sharp copy to boot of the 1995 1st edition. Tight and Near Fine in its pictorial wrappers. Oblong 12mo, crisp black-and-white photographs thruout. Tokyo: Photo Planete, 1994. Original wraps. Fine. A pristine copy of the 1994 1st edition. As New in its stapled, pictorial wrappers. Quarto, Araki's lush, highly-eroticized photography thruout. Kyoto: Korinsha Press, 1999. Original wraps. Fine. A pristine copy of the 1999 stated 2nd printing. Tight and Fine in its pictorial wrappers. Also includes a Fine example of the pictorial cardboard sleeve, which wraps over and protects the book. Madrid: Centro de Arte Reina Sofia, 1989. Decorative Cloth. Near Fine. A near-pristine example of the catalogue based on the April-June 1988 exhibition at Madrid's Centro de Arte Reina Sofia. Tight and Near Fine in its dark-green cloth, with decorative blindstamping to the front panel. SIGNED BY THE PHOTOGRAPHER JOEL PETER-WITKIN across the title page. Square octavo, includes a listing of Witkin's permanent holdings as well as a bibliography at the rear. Marseille, France: AGEP, 1980. Cloth. Near Fine/Near Fine. 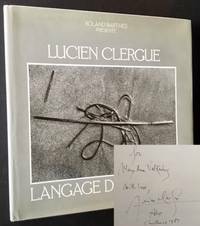 LAVISHLY INSCRIBED BY LUCIEN CLERGUE on the half-title. A very sharp copy to boot of the 1980 1st edition. Tight and Near Fine in a bright, Near Fine dustjacket, with just a touch of light chipping at the spine crown and the slightest amount of creasing along the panel edges. Square quarto, crisp black-and-white reproductions of Clergue's remarkable sand photos thruout. London: Andre Deutsch, 1956. Cloth. Near Fine/Very Good +. A tight, crisp copy of the 1956 1st edition. Clean and Near Fine in a bright, price-intact, VG+ dustjacket, with several tiny closed tears --and just a bit of light creasing-- along the panel edges. Quarto, Van Der Elsken's wonderful black-and-white photographs of a youthful, nocturnal Paris. New York: Farrar , Straus and Giroux, 1983. Boards. Fine/Near Fine. 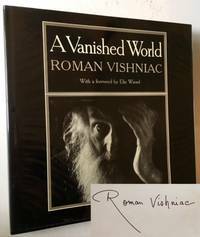 SIGNED BY ROMAN VISHNIAC on the first pictorial endpaper. An unusually clean, impressive copy to boot of the 1983 stated 1st edition. Tight and Fine in a crisp, easily Near Fine to Fine dustjacket. Square quarto, Vishniac's deeply moving, heartfelt portraits of Eastern European Jewry, taken between 1934 and 1939. Foreword by the formidable Elie Wiesel. Truly a collector's copy, the nicest this bookseller has encountered. Leipzig: Hesse & Becker Verlag, 1933. Cloth. Near Fine/Very Good +. 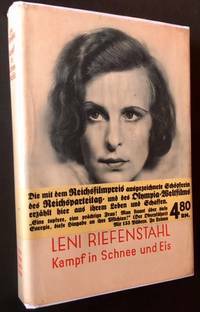 A very sharp copy of the 1933 true 1st edition of Leni Riefenstahl's first published book. Tight and Near Fine in an unusually crisp, VG+ to Near Fine dustjacket, with light foxing along the rear panel's top-edge and at the front flap, and just a touch of very light wear to the spine ends. ALSO INCLUDES A CRISP, NEAR FINE EXAMPLE OF THE PUBLISHER'S ORIGINAL WRAPAROUND BAND, which, given the reference to Riefenstahl's 1938 epic "Olympia", was issued at least 5 years after the book's release. Octavo, with 155 lush gravures documenting Riefenstahl's involvement with German filmmaker Arnold Fanck and his groundbreaking mountaineering films. Tokyo: Gakken, 1994. Boards. Fine/Fine. A pristine copy of the 1994 true 1st edition, and including the publisher's original wraparound band (or obi). Clean and Fine in a crisp, Fine dustjacket. 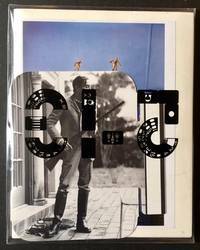 Quarto, Sturges's beguiling black-and-white photos thruout. Paris: Pierre Seghers, Editeur, 1949. Boards. Very Good/Very Good. 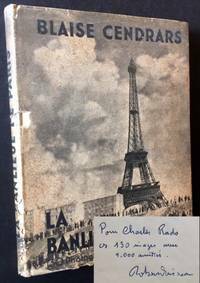 A wonderful Association copy: WARMLY INSCRIBED BY ROBERT DOISNEAU TO HIS AGENT CHARLES RADO (owner/manager of Rappho Agency in Paris) on the half-title. A solid copy to boot in its uncommon pictorial dustjacket. Tight and VG (light soiling at the panels and along the spine) in a bright, VG to VG+ dustjacket, with light chipping at several spots along the spine. Still though, attractive and very presentable. Octavo, 130 first-rate Doisneau heliogravures. Widely considered Doisneau's finest work, cited by both Andrew Roth and Martin Parr for its brilliant look at the suburbs ("La Banlieue") of Paris. New York: The Studio Museum in Harlem, 1983. Original wraps. Near Fine. 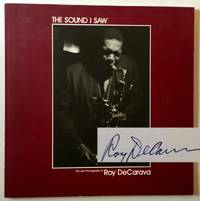 SIGNED BY ROY DECARAVA on the title page. A crisp, near-pristine copy to boot of the catalogue based on the January-March 1983 exhibition at The Studio Museum in Harlem. Tight and Near Fine in its pictorial wrappers. Some of DeCarava's finest black-and-white jazz photographs thruout. New York: J.J. Augustin, 1945. Very Good. INSCRIBED BY HORST IN YEAR-OF-PUBLICATION on the half-title. A solid copy to boot of the 1945 1st edition. Tight and VG in its oatmeal cloth, with light soiling at the rear panel, very light abrading to the front free endpaper, light offsetting at the pastedowns. Lacking the dustjacket. Quarto, crisp, high-quality black-and-white reproductions thruout.